Slate Takes took great pleasure in producing this fun video for Skylab Mobilesystems, who were looking to raise funds on Indiegogo for their product, Skydrone FPV. Posted 5 years, 9 months ago. Street Value, the distributor of Urbanears, asked us to “remix” the brand’s product videos for their sales staff in China. So we changed the voice-over from English to Mandarin, added subtitles and appended a customized ending (3:00 – 3:25) to the original 4 videos. Posted 7 years, 3 months ago. Posted 7 years, 8 months ago. This video has aired on the Home Shopping Network in the U.S.. 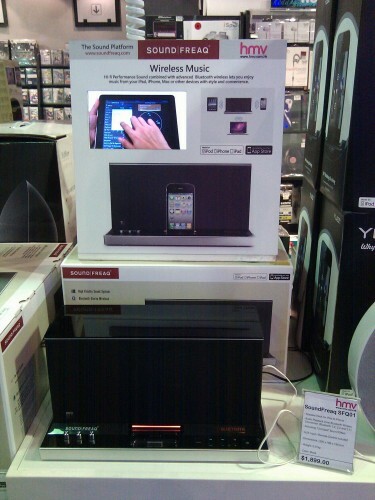 It has also played at HMV stores in Hong Kong, on the Sound Freaq Sound Platform stand, such as this one in Tsim Sha Tsui. Posted 8 years, 8 months ago.